The creation of a new school logo and branding concept, we regard as a process, in which there is a need for inclusivity to engender a sense of ownership by all stakeholders of that organisation. 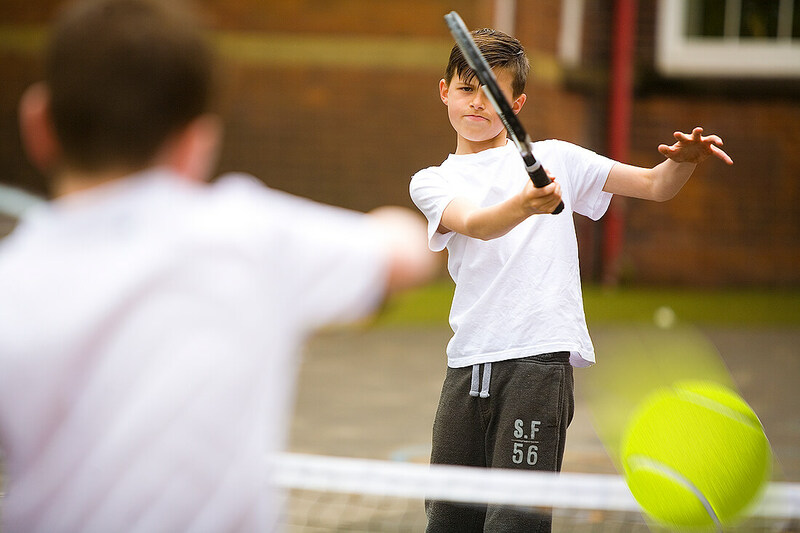 Within schools, that may include the participation of pupils and parents as much as staff or governors within the process. 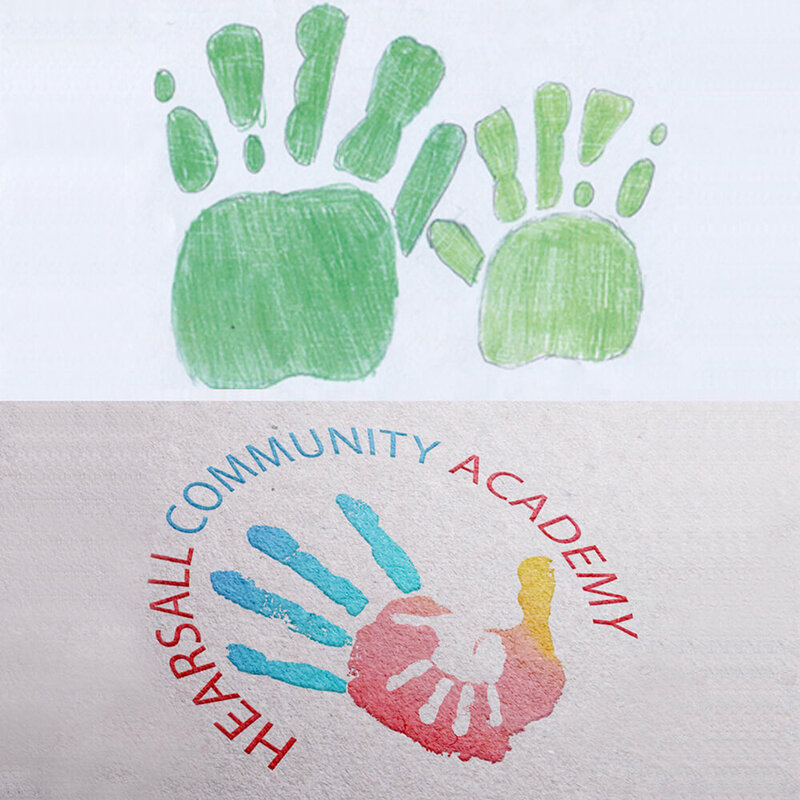 The example opposite shows a chosen idea by one of the pupils of Hearsall Academy, amongst many and how it was adapted as the ‘mainstay’ of their identity. 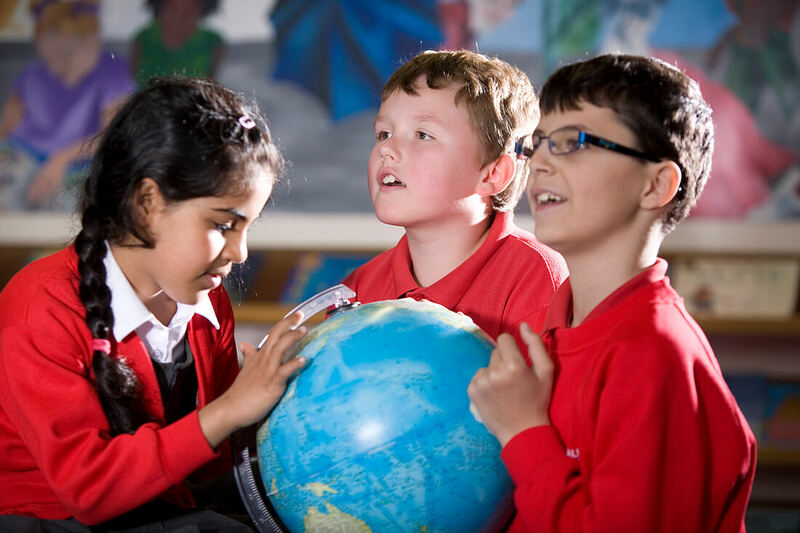 We can arrange for a design session at your school with pupils to get them involved. It’s always the idea that counts, not the rendering. 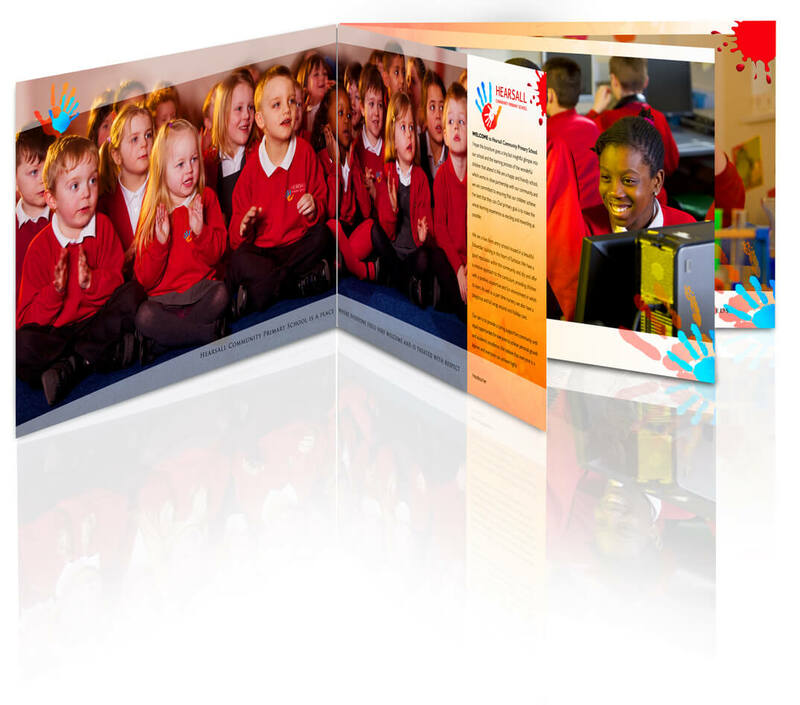 The brochure continues the Hearsall corporate theme using fresh, bold photography across all pages. 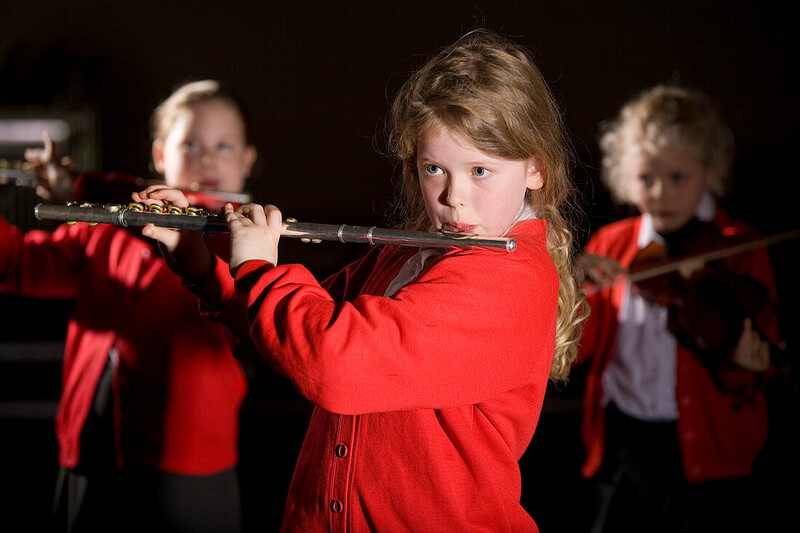 The photography illustrates the process of ‘teaching and learning’ and conveys an immediate sense of life within the school. 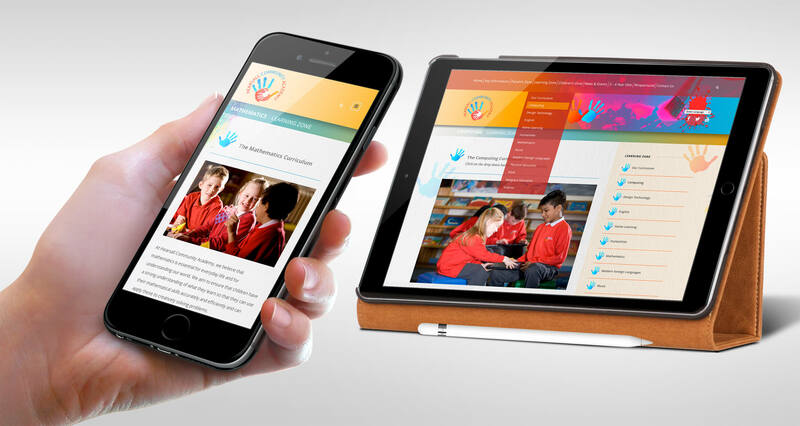 Accompanying text gives a broad outline of the school’s ethos and their approach to the pupils’ education. The design of the prospectus allows for more detailed, changeable information to be updated by the inclusion of an ‘inside back cover pocket’, in which further printed sheets can be inserted. 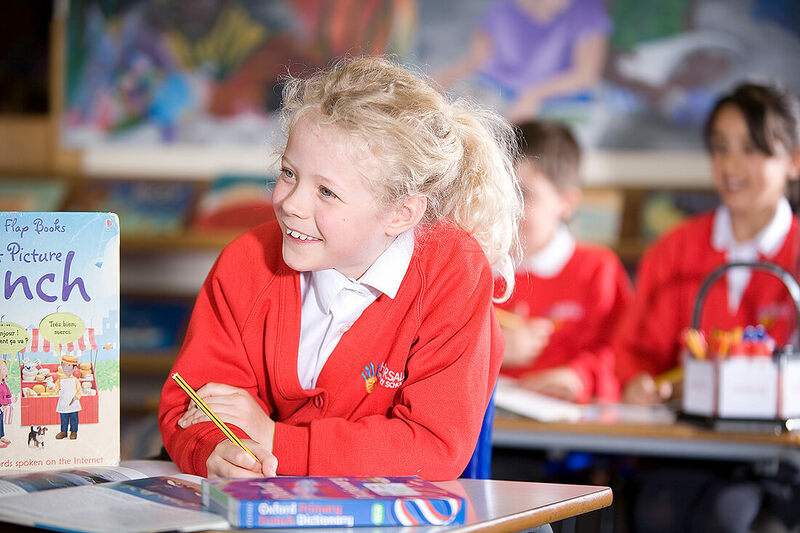 With many years of experience producing photographs for schools and academies, you can be assured that we have the expertise at our disposal to create imagery that makes a significantly positive impact upon all types of printed and digital publications. Within the Hearsall project a variety of photographic lighting techniques were used to create different moods, from atmospheric ‘chiaroscuro’ effects to those of bright, streaming sunlight.